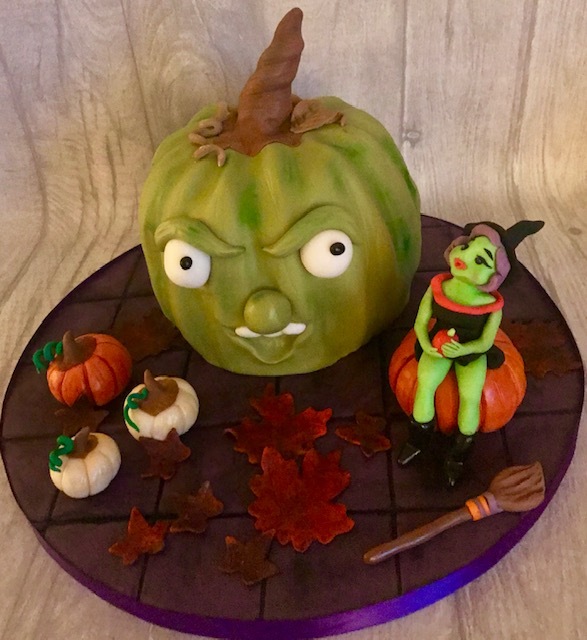 Cakes of the Month is a monthly competition where members of our wonderful CakeFlix community submit their best cakes made over the last month with the aim of having them published on CakeFlix and a chance of winning some cake decorating goodies. 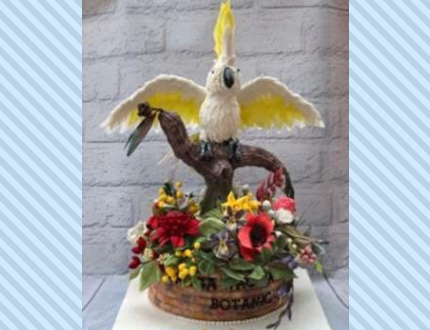 Our Cake of the Month is usually selected by award-winning cake decorator Mr.Paul Bradford (you may have heard of him?) and the other cakes which we select are displayed on a carousel for the next month. 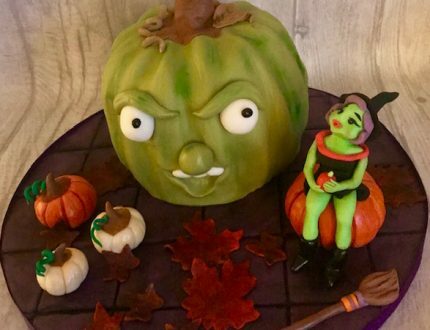 Karen Cooper made this super spooky Halloween themed cake. We just love the witch and the facial features of this menacing pumpkin. 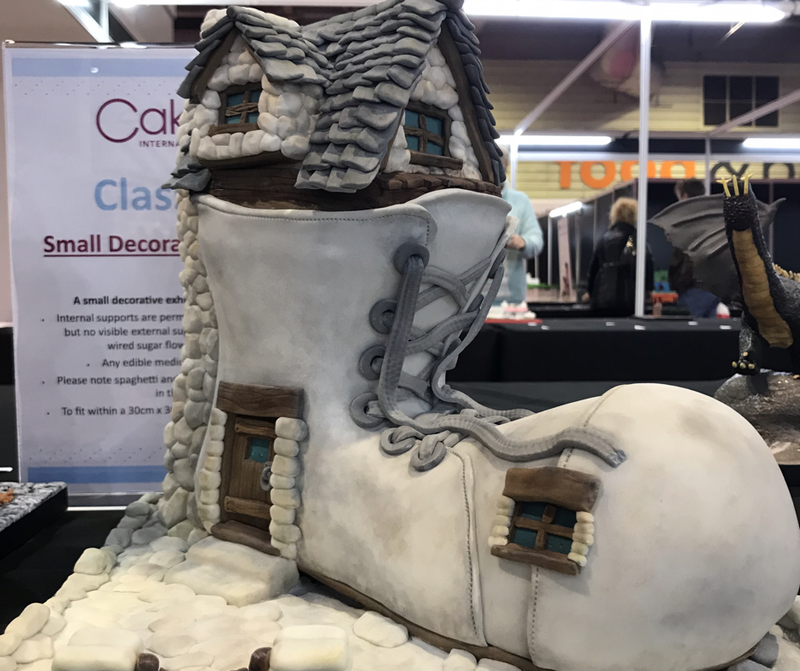 Ruth Wallace's Cake International entry earned her a bronze at the biggest cake show in the world, and it's not hard to see why! 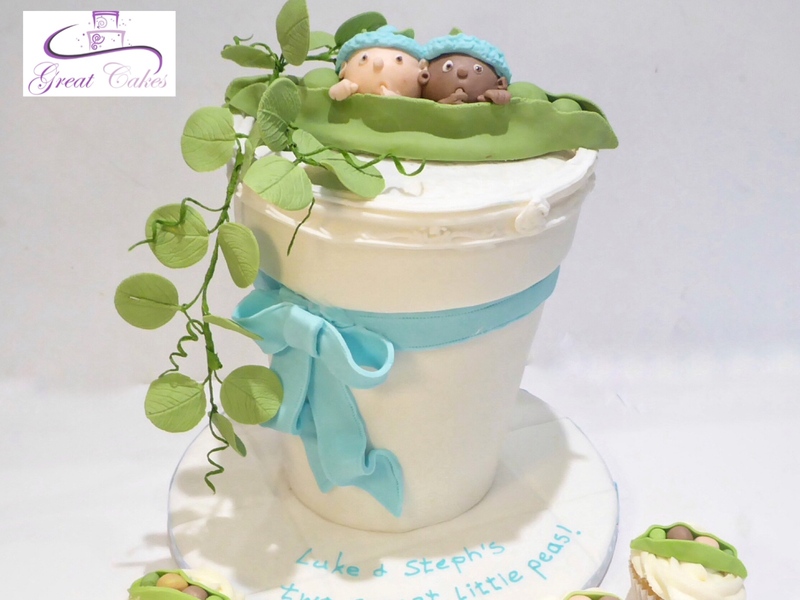 Gina Rickaby made this adorable Sweet Pea Baby shower cake for twin boys (using mix of watering can/ flower pot tutorials) and Pretty in Pink (using Christmas tree/Angel cake tutorials). Suzanne Kirkland made this for her daughter turning 30. 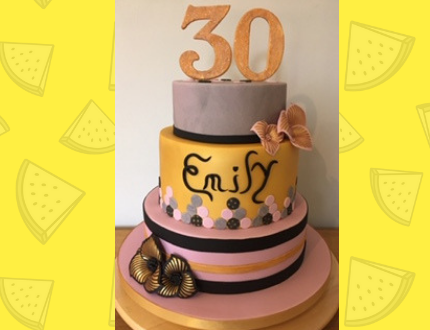 Suzanne said her daughter was thrilled with the cake and it's easy to see why! 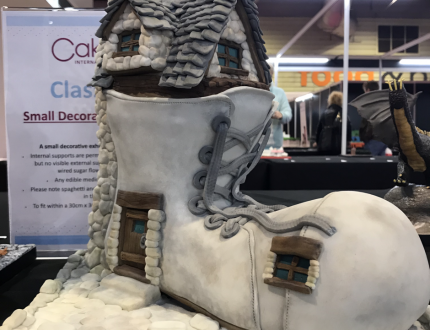 Lynda Mercury has never entered Cake of the Month before, but after getting a lot of attention online for this piece she thought she'd "give it a whirl !!!" and we're glad she did. 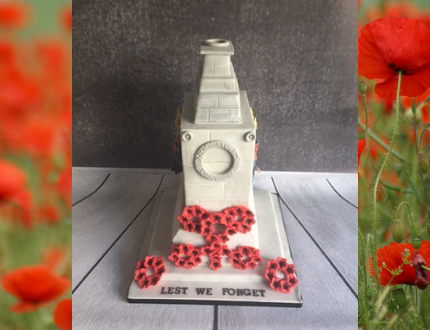 Lynda made this for the Royal British Legion's 100 year anniversary of armistice day service in her town and it is simply stunning. Tammy Wallace made this Nightmare Before Christmas inspired piece and it is incredible. From the beautiful colours, to the structure and theme. 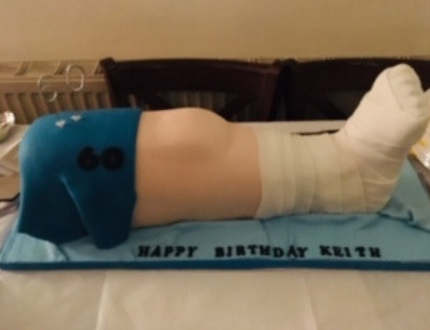 This cake really captures the essence of Tim Burton's Halloween/Christmas classic. This month's winner, chosen by Natalie Porter, is Sarah Mitchinson. "there is so much colour and imagination going on here and the cockatoo and structure are just amazing." 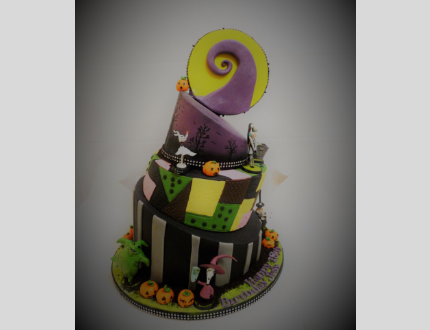 Congratulations Sarah we'll be in touch regarding your prize and all contributors will receive an exclusive CakeFlix Cake of the Month contributor badge. Fancy entering next month's competition for your chance to win some goodies from Karen Davies and have your cake displayed to thousands on CakeFlix? All you need to do is send your images to [email protected] to be considered. PLEASE NOTE all images have to be 430 x 330. Any images submitted that are not in this size will not be considered.